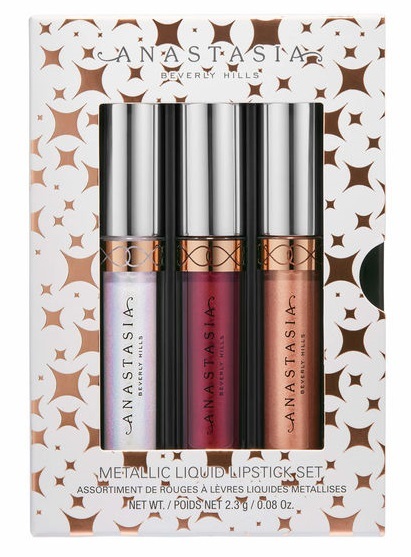 These have full-coverage pigment in 3 new shades, dries down to a weightless metallic finish. Comfortable, long-lasting formula and flat paddle-shaped applicator provides effortless lining and even application of color. 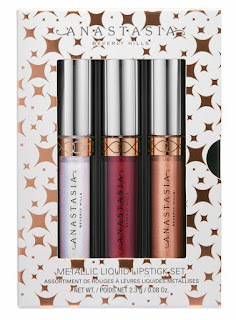 The Anastasia Beverly Hills Metallic Liquid Lipstick Set is available online at www.anastasiabeverlyhills.com, www.sephora.com and www.ulta.com. Like ABH on Facebook: https://www.facebook.com/ABHcosmetics; Follow ABH on Twitter: @ABHcosmetics; Follow ABH on Pinterest: https://www.pinterest.com/ABHcosmetics/; Follow ABH on Instagram: https://www.instagram.com/anastasiabeverlyhills/ and Subscribe to ABH on YouTube: https://www.youtube.com/user/AnastasiaBeverlyHill.